This 4 family home is the ultimate illustration of a two & a half story cross-gable house from the 1880's that is full of charm, history and character. This was the home of Elizabeth B.C. Wyman, daughter of the famous Elizabeth B. Chace. 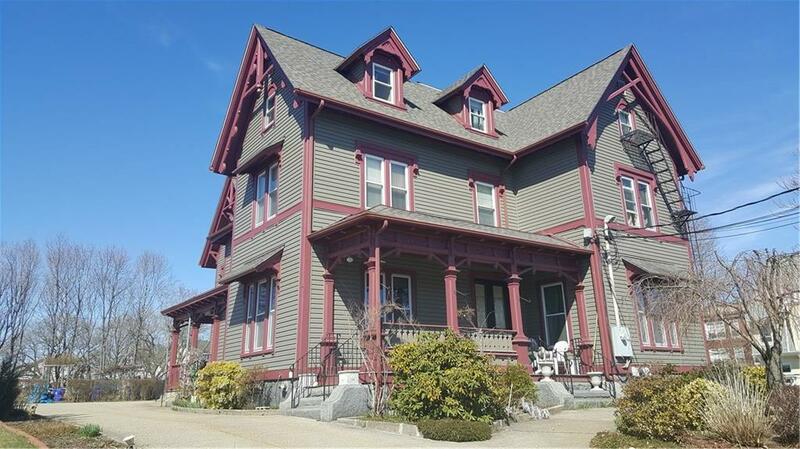 Located on 0.81 acres in the heart of Central Falls this home offers traditional features of original hardwoods, 3 fireplaces, arched doorways & ornate trim. As you enter the double doors you're greeted by soaring ceilings, beautiful hardwood floors and a staircase that will take your breath away. The main level has 3 huge rooms, updated Kitchen with built in shelves, full bath & 2nd level has 3 generous bedrooms & full bath. The other 3 units are in great condition, unique and have separate entrances. This house has been completely updated from bottom to top: roof, vinyl siding, windows, heating, plumbing & freshly painted. Private and peaceful location, with 2 separate entrances, a beautiful view, nicely landscaped & detached garage w/ plenty of parking. Fire Alarm & Sprinkler system- Zoned for Commercial & once uses as assisted living facility-there are so many opportunities with this property. Rich in history this home is worth a look.